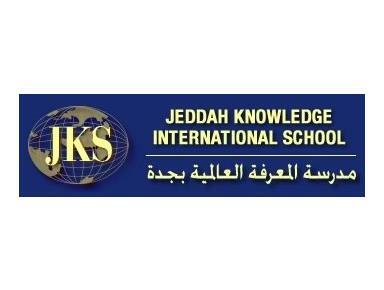 At Jeddah Knowledge International School (JKS), we aim to provide academic excellence, dedicated staff, and fully equipped educational facilities, all within a stimulating, challenging and friendly environment. We offer an international balanced education based on the International Baccalaureate (IB) Standards of Learning and the American educational standards whilst ensuring additional Arabic and Islamic Studies for all levels. Our commitment to excellence is both academic and social. We aim to provide a congenial atmosphere for all our students and their parents. At JKS we utilize our Philosophy, Objectives, and Beliefs to promote International and Inter-cultural experiences for our students. We develop holistic thinkers who are knowledgeable, with the skills, attributes, and values required of responsible citizens in a global community.